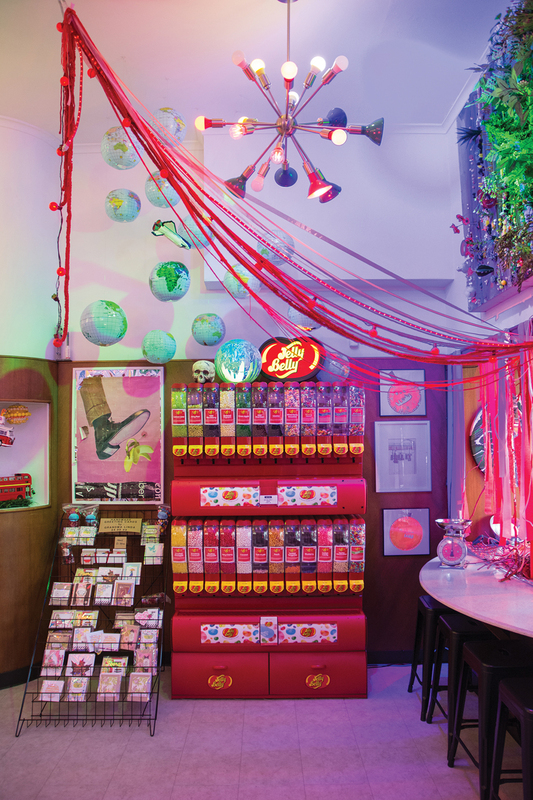 Home Food and Dining Candy Land Is Real, and It’s in Hamilton. 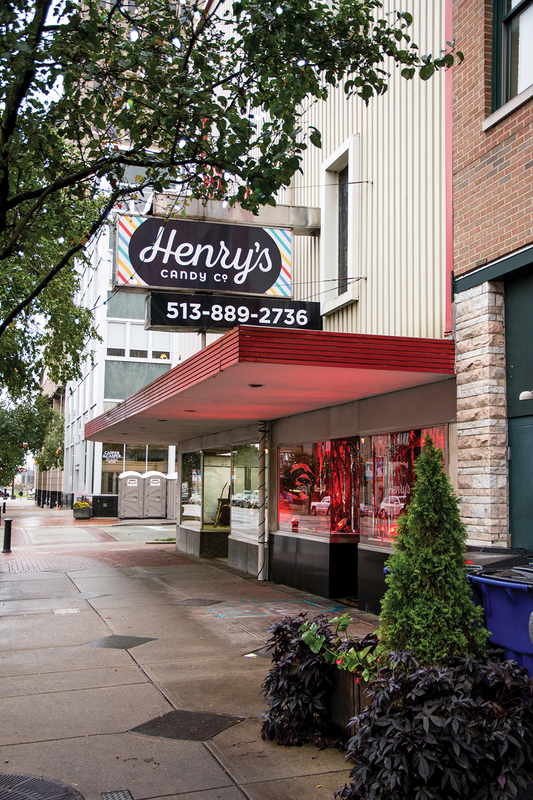 Candy Land Is Real, and It’s in Hamilton. There’s something sweet happening in downtown Hamilton, with a crop of recently opened restaurants, retail shops, and entertainment venues appearing around the High Street area. For Mia and Tony Farquis, this revitalization along the Great Miami River presented a chance to pursue a delectable dream. The Farquis family officially opened their little piece of the candy city in July 2017. The store was an instant success. “It all just kind of fell into place,” he says. Opened in the old Mayor’s Jewelers, Inc. space (a massive vault holds supplies in the store’s office), Henry’s retains the wood-paneled built-ins from the storefront’s yesteryears. 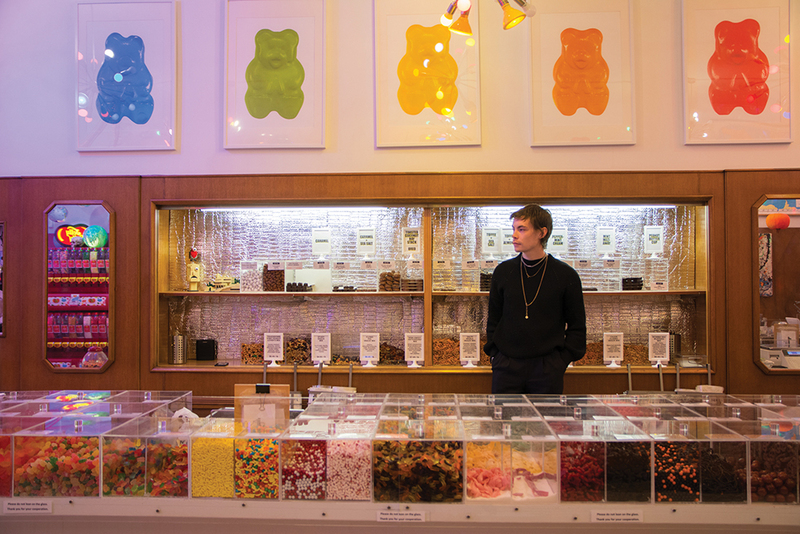 Modern decor—from pop art–style gummy bear photographs to sculpturesque lighting to abstract paintings made by Christian—crafts a fun and funky aesthetic that the family hopes to build on with rotating art shows and musical performances in the future. 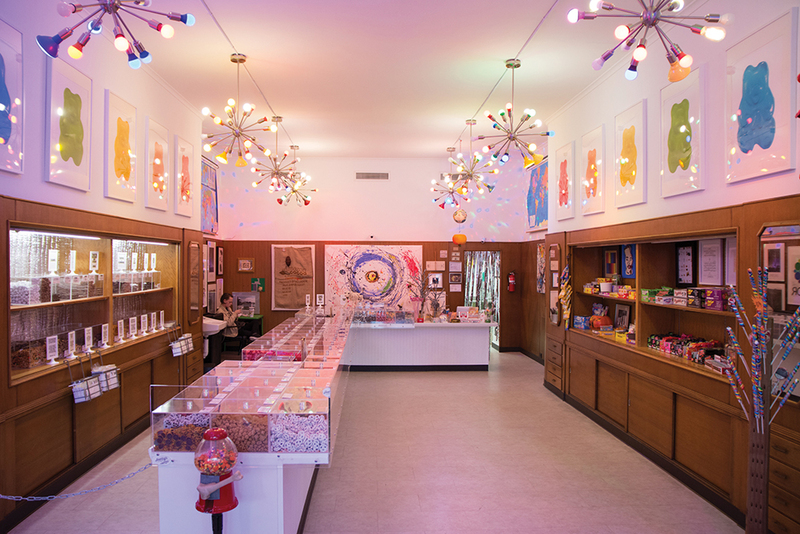 But the centerpiece, of course, is the shop’s full-length candy counter, which holds a vibrant cornucopia of chocolates, gummies, and wrapped candies in Plexiglas bins. The sight alone nearly produces a sugar rush. When I visited Henry’s with my family, my three kids put a serious dent in their summer savings, buying as much candy-by-the-pound as they could carry out of the store. Observing their manic delight prompted me to ask about Henry’s average clientele: Do the children of Hamilton keep the cash register ringing? As my family exits the store, a father and son pass us, each smiling in eager anticipation of the sweets within. I smile, too, as my wife hands me a chocolate-covered espresso bean. We all deserve a treat now and again. Check out Henry’s Chocolate Moonshine micro-batch artisan truffles. The nonalcoholic handmade treats come in flavors like smoked whiskey, birthday cake, and black cherry bourbon.